I so much enjoyed the music and of course the kittens are adorable!! Your new Patriot has a wonderful deep resonant sound. Looking forward to hearing more. What a lovely sound! Thanks for sharing - bet you can't tear yourself away from it! I laughed so much watching Tummy Tuesday! I just wanted to reach into the video and rub some of those cute bellies!!!! I stopped by your practice log - brava for posting your playing! I noticed you loaded Schubert's String Quintet on your chamber music - I love it and it's really fun to play - is that the recording the Emerson String Quartet did with Rostropovich? Thanks, everyone. I'm delighted you enjoyed it. It's quite fun to discover a new piece of software hidden on one's computer. 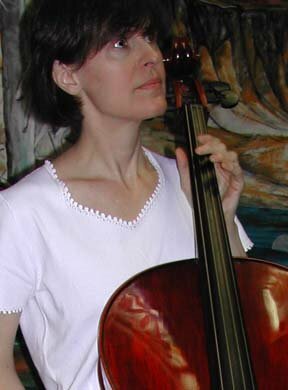 Cellogeek, I thought I'd use that member page to stash recordings of what I'm currently working on for convenience, so those will be there for about 1.5 weeks. I have a play date next Friday. That recording is of the Alban Berg Quartett with Heinrich Schiff. Absolutely beautiful! Adorable kitties, and such a pretty soundtrack. Sweet! You've finally combined your 2 favorite things-- kitty bellies and cello! Who woulda thought they'd go together so well? You new cello sounds great! I enjoyed that.